The wait between the end of a football season and the start of a new one is nothing short of painful, but thankfully this year we have a whole month of non stop International football to keep us busy. 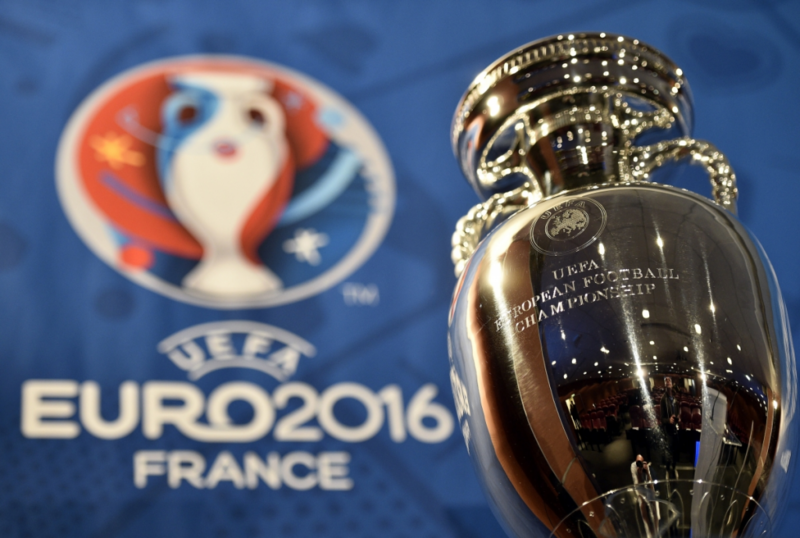 SpankTheBookies brings you a Euro 2016 Tournament Preview. The tournament kicks off on Friday 10th June in the Stade de France where the hosts France welcome Romania. The bookies have the hosts down as the 3/1 favourites to win the tournament outright and although it pains me to back a team outright at that price, I can see why they aren’t taking too many risks with some of the exceptional talent in their side. The likes of Paul Pogba and Antoine Griezmann are already being touted as potential players of the tournament. During the tournament itself we will providing football tips on a daily basis, these however will be for members only. Fear not though we have a cracking special offer running at the moment where you can receive a whole months worth of football & horse racing tips for just £6. Click here to take advantage of this offer >> SpankTheBookies.co.uk/special-offer/ All for £6 with the knowledge that you will receive football and racing tips every day for the next month. As previously mentioned, France are favourites to win the tournament and they’ve got a favourable group draw with only Switzerland being a realistic challenge to top the group. They could go into their final group game v Switzerland having already qualified but I'm sure they will be aiming to finish top of the group and with the quality they have it's very likely they will pick up 9 points in qualifying. The Swiss finished 2nd in qualification behind England and have some very talented players in Eren Derdiyok (Kasimpasa) and Xherdan Shaqiri (Stoke) They should have too much for Albania and Romania and can go into their final game against France having already qualified. This is Albania’s first time at the Euro’s and although they will find it very difficult (they scored the fewest amount of goals in qualifying) I’m sure they will give it a good go, but I can’t see anyway they will get out the group. Romania they had the best defence of any side during qualifying (conceding just 2 goals in 10 games) Their group for qualifying wasn’t particularly strong however, finishing 2nd behind Northern Ireland. Their opening game is against France, if they lose that and then get beat to Switzerland in their 2nd game then I’m afraid it’s curtains, unless of course they can grab one of the best 3rd placed spots with a big win against Albania. Verdict - France & Switzerland to get out of the groups. This is a very interesting group indeed, one that is pretty open. Many feel England have a great chance this year and they bring the youngest team out of all 24 sides to the tournament. A win in their opener against Russia and you can definitely see England qualifying, a defeat however and things start to get hairy as playing Wales in their 2nd game is no guarantee. Having said that, on paper England have the best side in the group, going forward they have a lot of options, with the likes of Kane, Vardy and Alli setting the PL alight this season. With the defence not being as good as previous years I think attack is definitely their best form of defence and I expect to see goals at either end when England play. Now let’s take a look at Wales, they scored 11 goals during qualifying, with Gareth Bale scoring 7 of those and assisting 2 of the others. Without any other goalscorer proven at the top level in their squad Gareth Bale is definitely Wales' best hope of getting out of the group. Will it be enough though? If they fail to win their opener against Slovakia it’s going to be very tough. The Slovakians finished 2nd in group qualifying behind Spain and ahead of Ukraine who ultimately advanced through the play-offs. That would suggest that Slovakia actually have a pretty solid side for this tournament with some stand out players in the likes of Martin Skrtel, Marek Hamsik. They do however like Wales lack a natural striker, something which England and Russia do not. 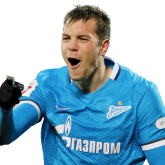 Russia have a very capable striker in Artyom Dzyuba, a player who scored 15 goals in the league and 6 goals in the Champions League this season. He’s a big threat for the Russians and could be a bit of a dark horse for top goalscorer in the tournament if Russia can pick up some victories. Verdict - England and Russia to get out of the groups. A group where we would all like to see Northern Ireland do well but with the opposition they face you can understand why the bookies are giving them a 350/1 chance of winning the tournament (it probably would have been a lot more if Leicester hadn’t won the league at 5000/1 this season). Their manager Michael O’Neill has already said his side will outrun their opposition and they will go 5 in midfield which will make them tough to breakdown. They do have Kyle Lafferty and Will Grigg up top, Grigg is a striker who has done exceptionally well in League One with Wigan this season, but can he do it on one of the biggest stages? Northern Ireland’s best hope his probably keeping it tight for as long as possible and trying to nick a goal late on. That could be difficult with Ukraine, Poland and Germany in their group. The Germans are just behind France in being favourites for this tournament. They have an excellent spine to the team with Neuer, Jerome Boateng, Toni Kroos and Thomas Muller. Despite a few injured players not going in the likes of Reus, Gundogan and Scheweinsteger, I still expect them to get through the group comfortably. Can they go all the way? We’ll come back to that a little later on. As for the remaining two sides in the group it’s a tough one between Ukraine & Poland and I feel it will be decided in the final game of the group. Poland face Northern Ireland in the opener and goal difference could be crucial, if they score early on it could be a landslide. They have one of Europe’s best striker’s in Lewandowski and he could be a good price to finish as Poland’s top goalscorer. He scored 13 goals in qualifying, a joint record. 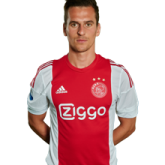 Having said that, they have Arkadiusz Milik, a striker who has lit up Dutch football this season, scoring an impressive 21 league goals in 28 games. I expect him to have a big tournament and secure a move to a bigger club in the summer. Ukraine made it here through the play-offs beating Slovenia, they heavily rely on their main forward Yarmolenko. He is a prolific goalscorer for Dynamo Kiev and a lot of pressure will be on his shoulders to score the goals Ukraine will need to get them out of the group. One player to keep an eye on is Viktor Kovalenko, he’s just broke into the national side but he’s tipped to have a big future so he is one player I’ll be keeping an eye on in this tournament. Verdict - Germany and Poland to get out of the groups. Spain became the first country to win 3 consecutive major tournaments (Euro 2008, WC 2010 & Euro 2012) Are they as strong as recent times? Probably not. Can they win this tournament? Probably yes. There have been a few surprising omissions from this years squad with the likes of Juan Mata & Fernando Torres (top goal scorer in Euro 2012) missing out. Defensively they are very strong, David de Gea, Pique and Ramos to name a few. It’s in midfield and up front where they aren’t the force of old, that’s not to say they don’t have an excellent side though. Players like David Silva, Cesc Fabregas and Iniesta will cause any side in the world problems. Their top scorer in qualifying Alcacer is not in the squad and they rely on Morata, Nolito and Aduriz as their main strike force who only have a combined 21 caps between them. It’s possible though that none of them will start and del Bosque will play Fabregas as a false 9. I can see Spain keeping a lot of clean sheets but not scoring a great deal of goals in this tournament. Next up is Turkey, a side who left it very late to book their place in this tournament. They finished off as the best 3rd placed team in qualifying thanks to a late free kick v Iceland. They do have some very capable players in their side with the likes of Arda Turan, Burak Yilmaz and Nuri Sahin. Their manager speaks about introducing new starlets so maybe this won’t be their tournament but something to keep an eye on for the future. It’s a tight group though and if they can pick up 3 points in their opener v Croatia it’s all to play for. The Croatian side are some peoples outside fancies of the tournament and I can see why. They finished 2nd in qualifying but they scored an impressive 20 goals in the process conceding just 2. They have two of the stars of La Liga in centre midfield, Luka Modric and Ivan Rakitic. If both of those players can begin to dominate possession then Croatia will have a good chance of creating plenty of chances. 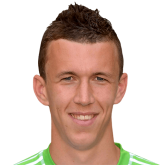 They also have a midfielder who can score goals in Ivan Perisic. The Inter Milan midfielder scored 6 during qualifying and also 7 goals for his club this season. Then up top they have the likes of Mandzukic and Kalinic who don’t have any problems finding the net. They were shown 3 red cards during qualifying (more than any other side) but if they keep their discipline then who knows how far this side could go. Last up in Group D is Czech Republic, they came top in qualification 2 points ahead of Iceland. Despite coming top I really can’t see this side getting through the group stages, they conceded 14 goals during qualifying. (more than any other side to make it through to the finals) Granted they have a world class goalkeeper in Petr Cech and a couple of decent defenders in Tomas Sivok & Michal Kadlec, but it’s in Midfield where they really struggle. They heavily rely on captain Tomas Rosicky who is still trying to get back to full fitness. Can Rosicky and his team mates in midfield cope with the likes of Fabregas, Busqets and Silva of Spain and the likes of Modric and Rakitic of Croatia? My gut tells me they can’t. Verdict - Spain and Croatia to get out of the groups. This is another tight group with Belgium, Italy, Ireland & Sweden all battling it out. Let’s start off with Ireland. Ranked 34th in the World by FIFA, Ireland have got here after beating Bosnia 3-1 on aggregate in the Play-Offs. On paper they aren’t a side that stands out but they are a very hard working side with the likes of Walters who will give defenders a hard time all day long. Walters and Robbie Keane were top goalscorers in qualifying with 5 goals each (Keane’s 5 all came against Gibraltar) I can see Ireland putting up a brave performance but can they get past Sweden, Italy & Belgium? Belgium have a huge amount of quality in their side and have been ranked the best in the world for the best part of a year but the pressure is now mounting for them to go to a tournament and actually produce the goods. They were knocked out in the World Cup by Argentina in the quarter finals and will be aiming for that at the very least in this tournament I feel. Losing Vincent Kompany in the heart of defence is a massive blow. They do have some quality at the back though with PFA team of the year Toby Alderweireld and Man City defender Jason Denayer who has had an impressive season on loan at Galatasaray. Marc Wilmots sees the 20 year old as a natural ball playing defender and the eventual successor to Vincent Kompany. Maybe he will start at the back, he will have one of the best goalkeepers in the world in Courtois covering him. 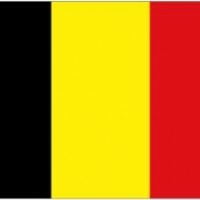 Going forward this is where Belgium look pretty frightening. They have the likes of world class midfielders in Eden Hazard and Kevin De Bruyne who will more than likely get the freedom to express themselves with Belgium having some top quality midfielders to cover in Axel Witsel, Fellaini and Dembele. The likes of Lukaku and Benteke will terrorise any defence on their day and if they can both get firing then Belgium could be finding the net quite often. Italy on paper don’t strike fear into teams but we all know that they aren’t no pushovers when it comes to tournament football. They won group H after an unbeaten campaign, with 5 of their 7 victories coming via a 1 goal margin. They only conceded more than one goal once during qualifying and upcoming Chelsea boss Antonio Conte will ensure his team are very tough score goals against. It’s their best chance of going far in this tournament as they really lack the quality up front (just 17 goals between their main 7 attacking players in this Euro 2016 squad) First choice striker Pelle is a handful on his day but he’s struggled for game time this season at Southampton and that could be a factor on the biggest stage. Last up in Group E is Sweden, a side who are here via the play-offs. All eyes will be on their main striker Ibrahimovic, he scored 11 of their 19 goals in qualifying and has an impressive 62 goals in 112 caps overall. Without him I think even the Swede’s would agree their chances of going through would be slim. They failed to beat either Austria or Russia during qualifying and on paper they don’t really have the quality or depth to threaten the main contenders for this tournament. If they can pick up 3 points in their opening game v Ireland though it’s all to play for. Four 3rd placed sides go through to the next stage and I certainly wouldn’t write them off in doing so. Verdict - Belgium to win the group. “Let’s put another shrimp on the barbie” as Jim Carrey would say, Austria are a potential dark horse for the competition. A side who had the 2nd highest points tally in qualifying with 28, only beaten by England with 30. They scored an impressive 22 goals in 10 games, conceding just 5 in the process. They have some very good players in their side, the standout arguably being Bayern Munich’s ‘God’ as Guardiola describes him David Alaba. Most of their players ply their trade in the Bundesliga but they also have a few from the Premier League with the likes of Marko Arnautovic who started every game during qualifying and Leicester City league winning defender Christian Fuchs who will lead his nation out at this years tournament. 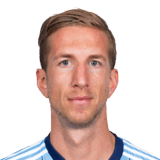 Up top they have their main striker Marc Janko, he has scored 26 goals in 52 appearance for his country and has netted 16 times in 20 appearances in the league for Basel this season. He could be a great bet to be Austria’s top goalscorer but we will get back to that a little later on in the preview. Next up is Portugal, otherwise known as Cristiano Ronaldo. Portugal are a side who always seem to disappoint me, they won 7 of their 8 games in qualifying and on paper it sounds impressive, but all those victories were by just the 1 goal. Beating the likes of Armenia and Denmark by 1 goal doesn’t really scream out Euro 2016 potential champions now does it? No doubt they will go on to win it now and I’ll eat humble pie but they will need to improve drastically to do so. Ronaldo was their top goalscorer in qualifying with 5 goals and no doubt if they score goals in this tournament he will get the majority of them. The thing that’s in Portugal’s favour is they are in one of the easiest groups, Austria will be tough but they will fancy themselves to pick up 6 points against Hungary and Iceland, although Iceland will have something to say about that. They have done tremendously well to reach these finals, finishing 2nd in a group which had Czech Republic, Turkey & Holland. They were pretty solid at the back conceding 6 goals in their 10 games but in preparation for the finals they can’t buy a clean sheet at the moment. They have conceded at least 2 goals in 7 of their last 8 friendlies and that must be a slight worry going into the tournament. They don’t seem to have a problem finding the net though so keep an eye on the odds for goals whenever they play. Their star man is Gylfi Sigurdsson (the 2nd Icelander to score more than 10 goals in a PL season) Can you guess who the first is? That’s right, Eidur Gudjohnsen who is also in the squad. I’m looking forward to watching Iceland as I feel their games will be entertaining, but I’m struggling to find a case for them getting out of the group. Last but not least of the 24 sides at Euro 2016 is Hungary. They are also here via the play-offs after defeating Norway 3-1 on aggregate. Their manager has spoken of the fact that many of his players struggle to get game time for the league clubs, so you can imagine they will really trying to put themselves on display in this tournament. They will have to keep an eye on their discipline however, they picked up a whopping 38 yellow cards in qualifying and the last thing they will want is players missing a game after picking up tow yellow cards. Their best weapon is scoring from set pieces, they scored 14 goals in qualifying, 5 from corners, one from a direct free-kick and two after a free-kick was not cleared properly. They will have it all to do I feel, but stranger things have happened. Verdict - Austria and Portugal to get out of the groups. Many people have tipped Antoine Griezmann to finish top scorer for France and even the entire tournament, I can see why but Giroud will lead the line with Griezman playing off him. Griezmann Is a key player for France and could potentially be one of the players of the tournament but I think his main role will be creating chances for Giroud and the Frenchman doesn’t have a problem in finding the net. He averaged a goal every 117 minutes this season for his club, compared to Griezmann’s every 131 minutes. 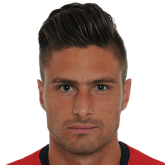 With Griezmann and more than likely Martial behind him, there will be an abudance of chances for Giroud to score goals in this tournament. Muller was Germany’s top goalscorer in qualifying, scoring a very impressive 9 goals. He scored 20 goals in the league for Bayern this season, scoring 32 goals in 49 appearances. He will be the main penalty taker and with Germany expected to go far in the tournament he’s an obvious selection to be their top goalscorer and potentially one of the top overall goalscorers in the competition. 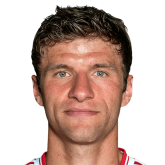 The 6ft 1 German scored a goal every 102 minutes for Bayern this season. Croatia have a very talented side but something they do lack is a guaranteed goalscorer. Many will say “they have Mandzukic” a man who only scored one of Croatia’s 20 goals in qualifying. Inter Milan’s Perisic stands out for me, the attacking midfielder has been linked with a move to Liverpool this summer and he will be looking to produce the goods on the highest stage. He scored 6 goals for Croatia during qualifying, more than any other player in their side. I expect Croatia to get out of the group and Perisic to come up with the majority of their goals like he did in qualifying. Dzyuba has had an excellent season for Zenit St. Petersburg, guiding them to 3rd in the league (They scored more goals than any other side in their division) Dzyuba scored an impressive 15 goals in the league and 6 goals in 8 Champions League appearances. During qualifying for Russia he scored 8 goals and looks sets to lead the line in this tournament. Russia have a decent chance of reaching the quarter finals and I feel Dzubya will be the man to score their goals if that is the case. This is a player who has had an incredible season domestically, scoring 16 goals in 20 league appearances, averaging a goal every 84 minutes. If he could replicate that here Austria could be a dark horse for this competition. He was the countries top goalscorer in qualifying bagging himself 7 goals and has now scored 26 goals in 52 caps for his country. With players like Arnautovic and David Alaba in their side Austria will be confident of getting out of a very winnable group with Janko leading the line. From those players you would have to say that Muller and Giroud have the best chances of becoming overall top goal scorers in the competition due to their teams chances of winning the tournament. Here are their prices on becoming top goalscorer in the tournament. One player I have missed out is Polish forward Arkadiuz Milik, he could be an interesting long shot at a whopping 125/1. He scored 21 goals for Ajax this season and 5 goals during qualifying for his country. He’s 11/2 behind Lewandowski who is 8/13 to become Poland’s top goalscorer, but I can see both players having a very impressive tournament. I expect Poland to get out of their group and if they can score a few against Northern Ireland in their opener Milik might not be 125/1 price come the final whistle. Bet365 are paying out EW places on the top 4 so this is worth a small EW bet in my opinion. Belgium are a side who I feel have a chance of going a long way in the tournament, but the way the draw lies it could see them facing Germany in the quarter finals and then France in a semi final. Question is, can you see them beating both sides? It’s a tough one and unfortunately I’ve had to cross them off my list of winning the Euro’s. Next up is England, if they can win their group then potentially they will face either Italy, Austria or Portugal in the quarter finals, all winnable games. If they can get past either of those sides it’s looks like they could meet Poland or Spain in a semi final. It’s obviously a tough one to call and despite wanting England to obviously do well, facing either of those sides could potentially be curtains. England are a side who will use up a lot of energy in the group stages, fatigue could well set in during the latter stages of the tournament and I fear it could be another tournament going home empty handed. Spain are looking to make it 3 Euro Championships in a row and despite their side not being as strong as recent years there’s no doubting their ability. They lack a bit of a quality up top and will rely on their defence to ensure they don’t concede any sloppy goals. With the likes of Fabregas, Silva and Iniesta in midfield they will always create chances and I can see them winning a lot of games keeping plenty of clean sheets along the way. Germany are one of the best sides in the world, there’s no debating that. They do have a few key players missing at this years tournament but that’s not to say they won’t go a long way. They do get a bit of a rough ride with their side of the draw though and could face Belgium in a quarter final and then France in the semis. It’s a really tough decision but along with Belgium I’m writing them off for this tournament, purely on the basis that I think they could face a tough French side in the semi final. France are the 3/1 favourites as I mentioned at the start of this preview. I stated that I thought that price was too short, but after going through each fixture and where I can see each side ending up I’m tipping France to make it to the finals. They have an all round solid side from back to front, in midfield they are particularly strong with Kante, Matuidi, Pogba, Payet and then Griezman and Giroud up top. They have arguably the easiest group to get out of and then they should be able to avoid all the big guns until the semi finals. Who do they play in the final though? Poland are my outside bet for this tournament at 50/1, I expect them to get through their group and then more than likely face Switzerland in the last 16. If they can get past the Swiss then I have it written down they are likely to face Spain or Croatia. Ideally they would like Croatia but if Spain win their group then that’s who they will face. It’s a big ask to beat the Spanish but I really feel Lewandowski and Milik will cause any side problems at this years tournament. For me France will either play Spain or Poland in the final. My gut instinct tells me it will be a Spain v France final and then it’s anyone’s to win. But we all love an outsider, I mean look at Leicester in the Premier League this season and Greece have shown us back in 2004 that it is possible. Now this is a bet that can prove very difficult, Andres Iniesta won this award at Euro 2012, despite only picking up 1 assist in his 6 games for eventual winners Spain. History suggests that the player of the tournament award goes to a player who’s side wins the tournament. Check this out…. So realistically we have to go for players who are in a side that we think can/will win the tournament. After going through each game with a fine tooth-comb we have come to a decision (well sort of). If we have decided that either France, Spain or outsiders Poland are going to win the tournament then history tells us it’s going to be a player from one of those sides who will walk away with the award. Let’s start with the outsiders, Poland will rely heavily on Lewandowski and Milik to fire them to victory. Lewandowski is already proven as one of the best strikers in European football and his younger partner Milik is looking for a big move away from Ajax this summer. They scored a combined 68 goals for their clubs this season, with Lewandowski averaging a goal every 81 minutes for Bayern and Milik averaging a goal every 118 minutes for Ajax. Next up is Spain, a team who won this competition in 2008 and then 2012. 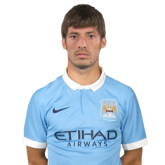 Both times it was a midfielder who won the award and a player who stands out for me is David Silva. The spaniard assisted 11 goals for his club this season and will make his 100th cap for Spain at this years tournament. If Spain are to win the tournament this year then he will no doubt play a pivotal role. 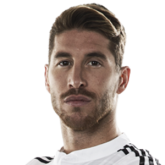 With me fancying Spain to keep a lot of clean sheets in the tournament I’m going for a defender to stand out and who else could it be other than Champions League winner Sergio Ramos. He scored in the semi final in 2012 tournament and he likes to come up with a goal in the big games (scoring in Real Madrid’s last 2 Champions League finals) He will be pivotal to Spain’s success in this tournament. If France are to win this tournament then there’s a couple of players who I feel could really stand out. Yes we have gone with Giroud as top goalscorer but the men to provide those goals could well be Paul Pogba and Antoine Griezmann. Pogba is a player who will create chances and score goals and is widely regarded as one of the best midfielders in the world. He scored 10 goals and assisted 14 goals for Juventus this season and big things are expected of him in Euro 2016. He’s currently the favourite to walk away with this award and it’s not hard to see why. 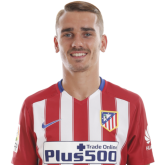 Griezmann is also one of the favourites and if France are to score goals you would imagine he will have a huge part to play, either in assisting or scoring. The Atletico Madrid star is expected to really shine in this tournament after a superb season at his club. 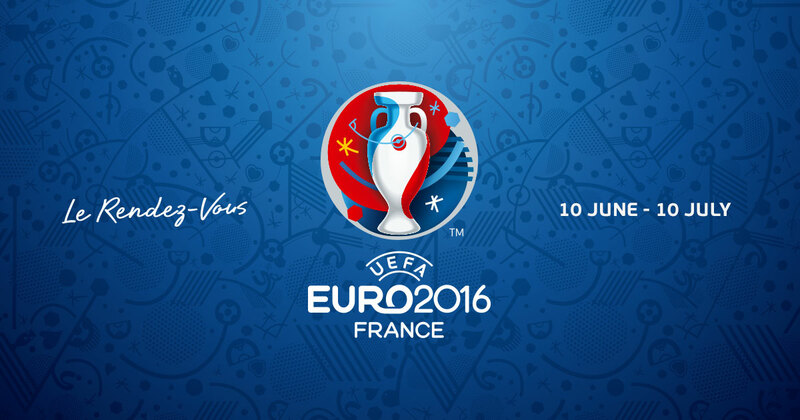 So that's it, that's SpankTheBookies Euro 2016 betting preview. We hope that you have enjoyed reading and as always we'd very much appreciate any retweets and mentions on social media. Please remember that if its daily Euro 2016 betting tips that you're after then our members will receive these each morning by 11am. We are currently running a special sign up offer throughout Euro 2016 where it is only £6 for 30 days access! Click here to take advantage of this offer. SpankTheBookies hope that you have a very successful time punting on Euro 2016. 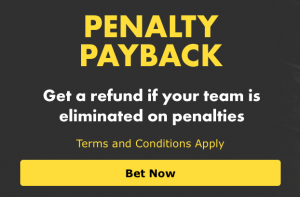 Place a bet on the To Win Outright market for Euro 2016 and if the team you back is eliminated on penalties, Bet365 will refund your losing bet. This offer applies to both Win and Each-Way bets. 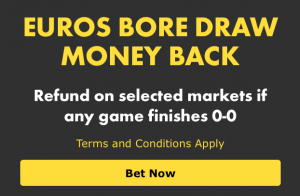 Bet365 will be offering this market In-Play throughout the tournament, and it will be available until the Euro 2016 final kicks off on Sunday 10th July. If you do not have a Bet365 account then now is the perfect time to get an account with all these fantastic offers on. Open an account, deposit £10 or more and you will qualify for a 100% matched amount as a bonus to bet with, up to a maximum of £200. Once you open your account they will send you a 10 digit Offer Code ending in NCDB2 via email which allows you to activate your 100% bonus.